Gi Round Pipe, Size: 2"
HDPE Pipe, Size: 1" And 2"
We are well-known firm of Stainless Steel Round Pipe. 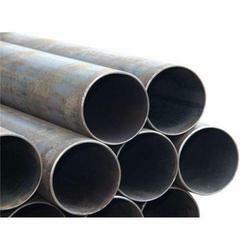 Being one of the trusted firms in the industry, we are engaged in providing a high quality range of M S Round Pipe. Galvanized pipes are used in industrial, domestic and agricultural purposes. These pipes are generally required for plumbing, irrigation, rural water supply, urban water supply scheme, tube well boring, tubular structure, scaffolding, oil and gas and general engineering purpose. 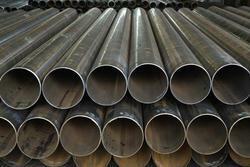 We are manufacturing wide range of Round-Pipe.